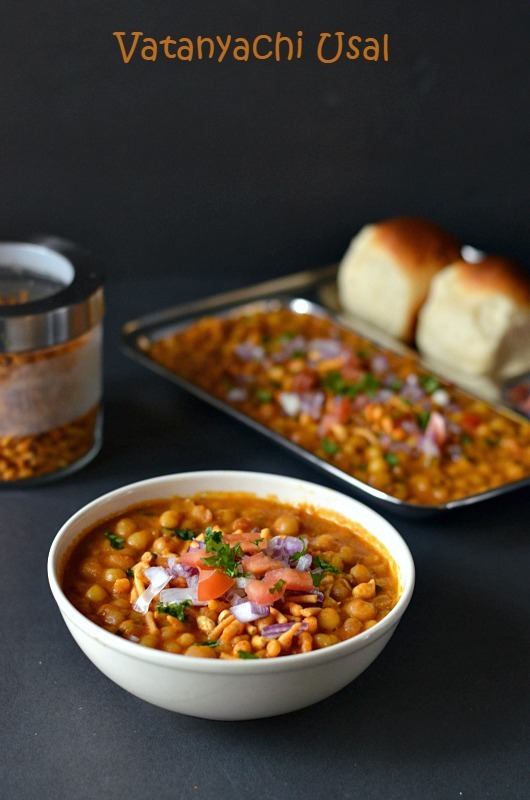 Vatanyachi usal is a popular Maharastrian breakfast recipe.The usal is made using different varieties of lentils such as white peas,moth beans and mung beans. 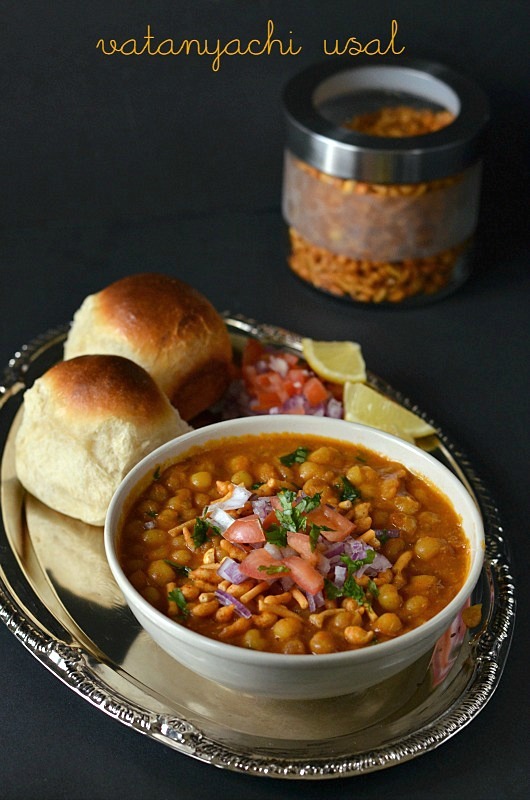 The usal is served as such or can be eaten along with rice and roti.If the usal topped with some farsan(mixture) and chopped onion,tomato and served with pav is Misal. This was in my to do list since long time.Couple of days back when I was looking my cook book collections to make something for Cookbook Challenge this recipe caught my attention. Soak the white peas for at least 6 hours and pressure cook it for couple of whistles with a pinch of salt and adequate amount of water.The white peas should not get mushy. 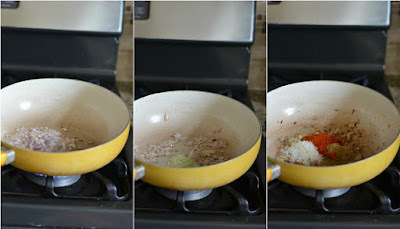 Heat a pan with 2 tsp ofoil,add in around 2-3 tbs of chopped onion.Saute it till it becomes transparent.Now add the ginger&garlic paste and fry it for a minute.Add in all the spice powders,grated coconut. Mix it well and put off the flame.After cooling grind it to a smooth paste along with water.Now heat the pan with the rest of the oil and crackle the cumin seeds.Add in the remaining chopped onion and saute it till the onion becomes transparent.Now goes in the chopped tomato and cook it until mushy. 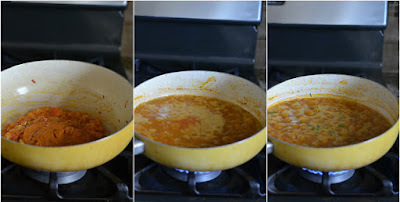 Now add in the ground paste and stir in,add around 2 cups of water,salt and tamarind paste.Let it simmer for 5-6 minutes.At this stage add in the cooked white peas and let it simmer for another couple of minutes.Sprinkle the chopped coriander leaves and put off the flame. 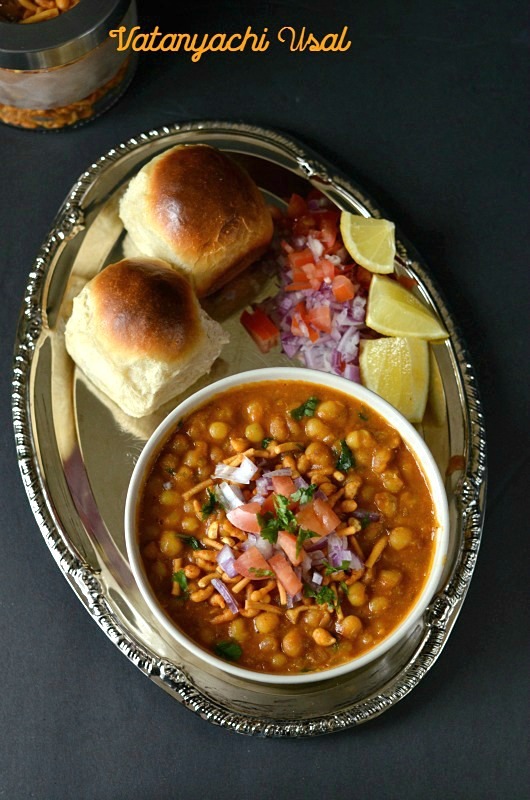 Serve it with roti and rice or pav. 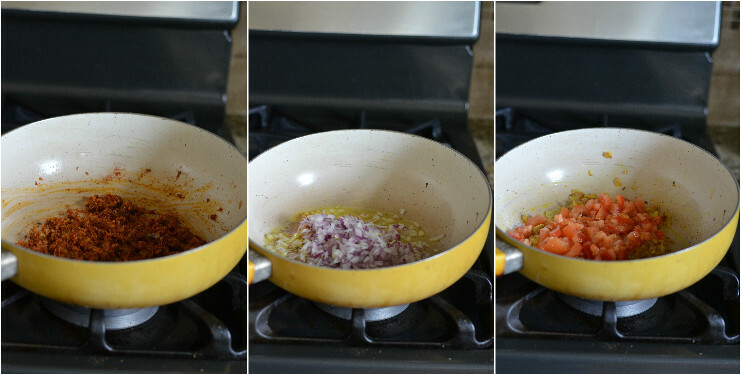 Addition of tamarind paste is to get an extra tangy taste. Do not over cook the the white peas it may turn mushy. 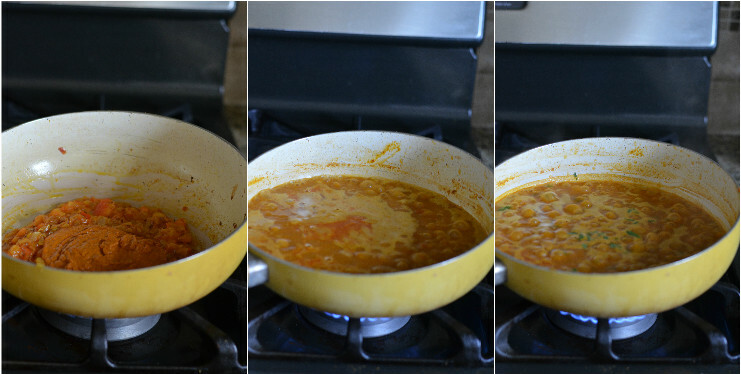 If you feel the gravy is not thick enough,mash a handful of peas and add it to the curry. 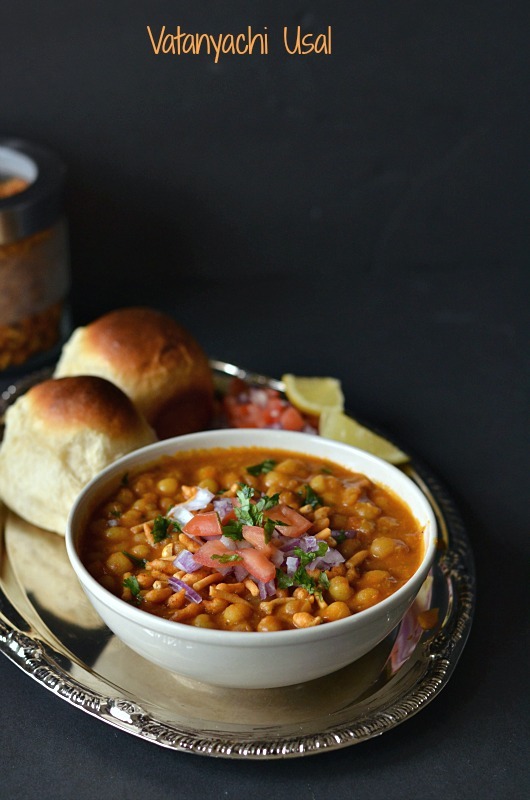 White peas usal looks very comforting and perfect for the weather.Glad you enjoyed it after lots of hard work . Delicious and tasty. Love the addition of tamarind paste. Usal looks delicious Nalini. So hearty & flavorful. Love to learn the other state cuisines. Thanks for the recipe. 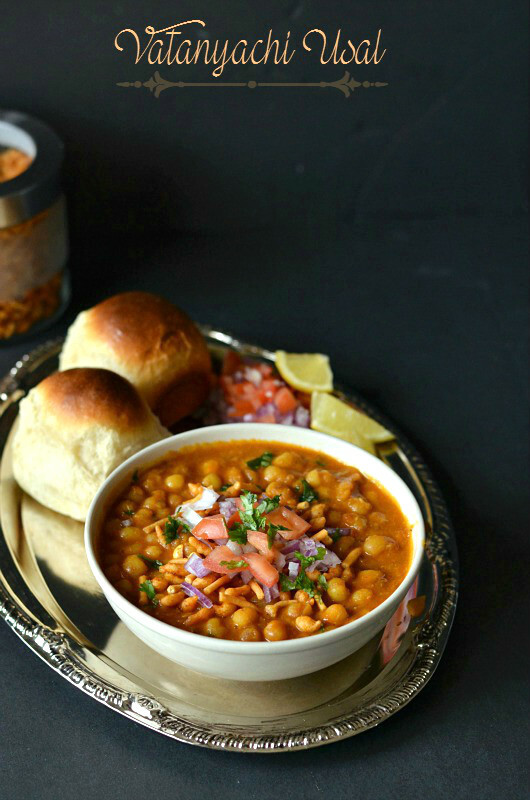 Your bowl of Usal looks so warm & inviting, Nalini. Very simple recipe shared here..I tried at home and like to all family members. The way this recipe is explained,it looks very tasty and yummy dish. Thanks for sharing the recipe with us.